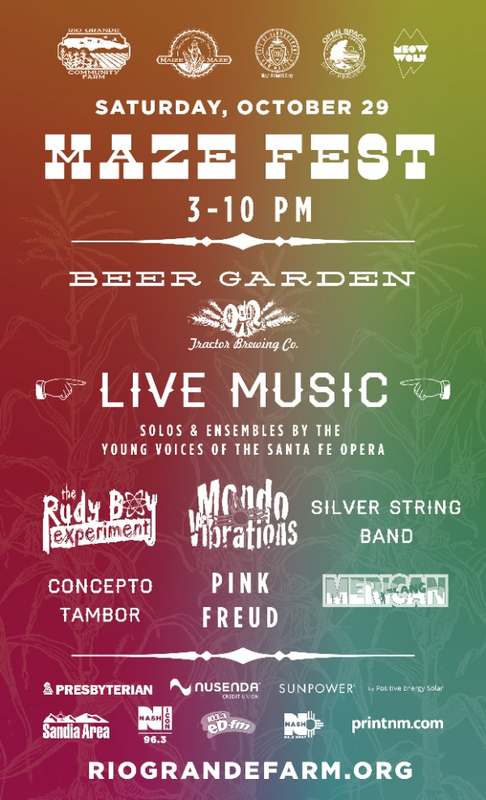 Join us for live music, a beer garden by Tractor Brewing, pumpkins, and explore the maze. Saturday October 29th 3-10pm. The City of Albuquerque Open Space Division and Rio Grande Community Farm (RGCF) are proud to announce the 19th Annual Maize Maze—Color Maze! The eight-acre maze is located on the Los Poblanos Fields agricultural Open Space north of Montaño. The Maze will feature activities, public art installments, and a scavenger hunt that will educate and inspire visitors about Color. Aside from serving as an annual fund raiser for RGCF, a 501(c)3 Non-profit, the Maize Maze also fulfills a core part of the Farm’s mission: to provide habitat for wildlife. 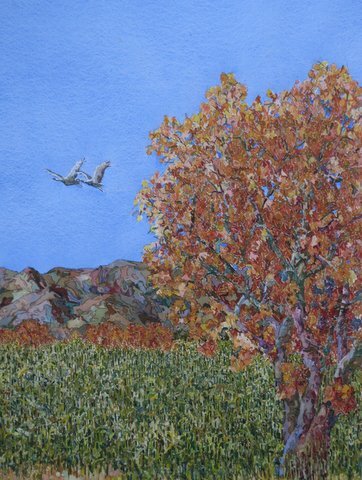 Each year, the Maze serves as both food and habitat for hundreds of migrating geese and cranes. WHEN: The 2016 Maize Maze will be open Fridays 1pm-10pm, Saturdays 10am-10pm and Sundays 10am-7pm during the month of October. HOW MUCH: Daytime admission for the maze are $8/adults and $6/kids (3-12 years old). Kids 2 and under are free. After dark for all ages is $16. 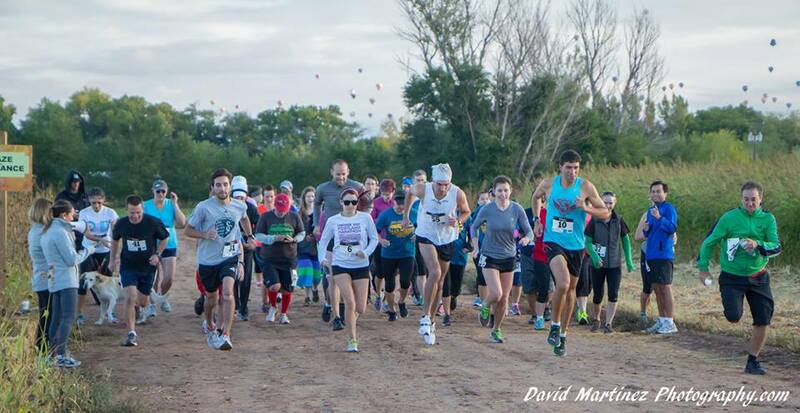 WHERE: Los Poblanos Fields is located in the heart of Albuquerque at 1701 Montano Road NW. Parking for the maze is 1 mile west of Fourth St NW. Turn north on Tierra Viva and park in the gravel lot to your left. 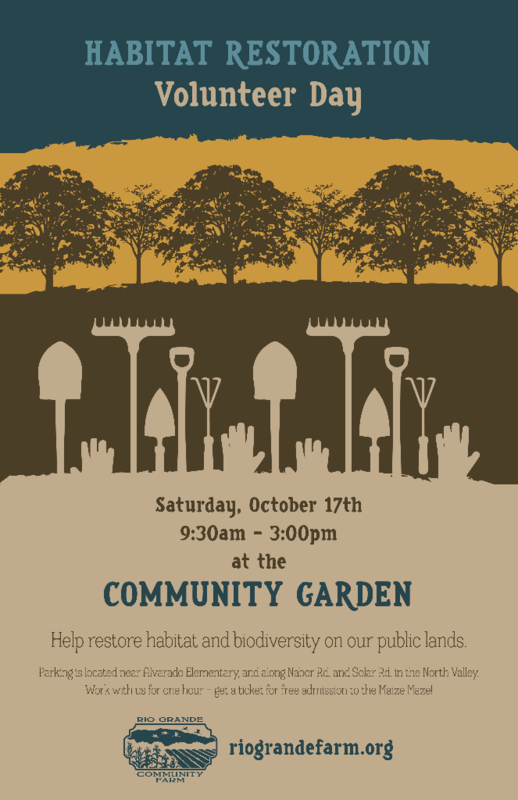 On September, Saturday 17th, join us as we plant more native and drought-tolerant species along our hedgerows to support this wildlife and pollinator habitat! We will also be moving earth and mulch to make sure what we plant gets water and stays healthy. Water in a refillable bottle, good shoes, clothes that can get dirty, sunscreen and/or a hat, work gloves, and your favorite shovel with your name on it. From the intersection of 4th and Solar (or Sadie’s Restaurant), head west on Solar for one mile. Immediately after you pass Alvarado Elementary turn south onto the drainage ditch and park along the fence. Walk across the bridge and you will be at the Community Garden. RGCF is actively seeking new board members to help carry out our mission. Please contact us today if you are interested in attending a board meeting to see if being on the board is right for you! 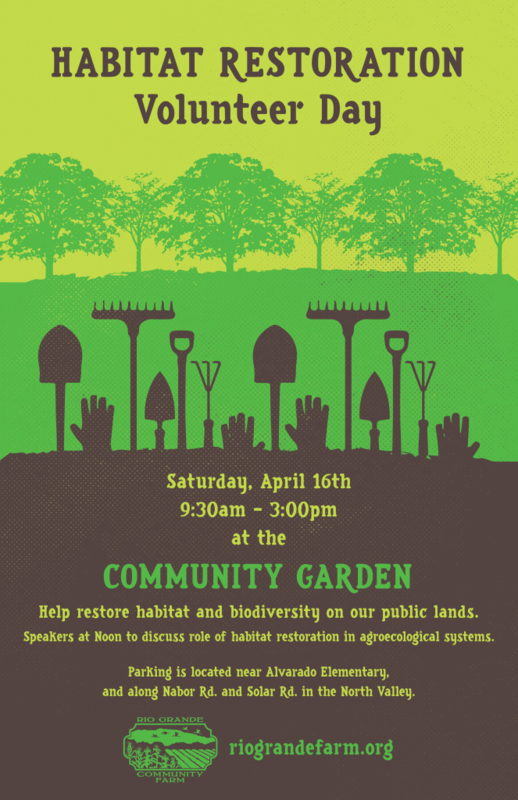 Mission: The mission of the Rio Grande Community Farm (RGCF) is to improve the health of our community through sustainable agriculture, fresh food, and education. 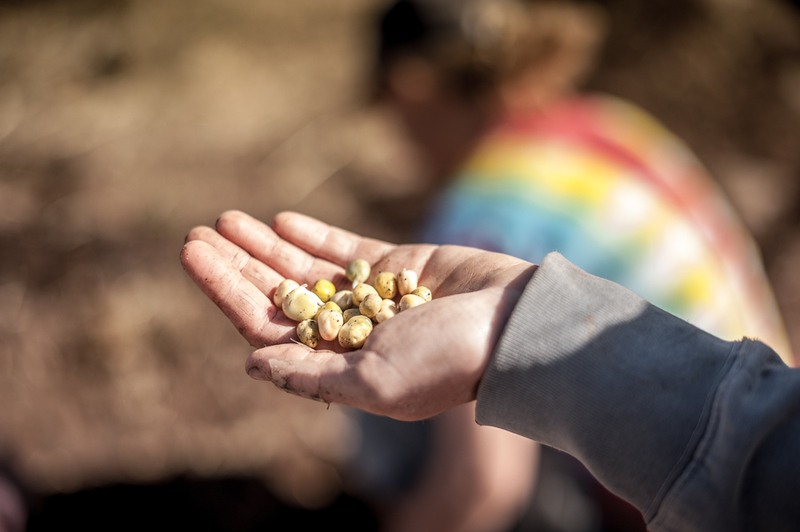 We carry out our mission through our work in five strategic areas: demonstrating sustainable urban agriculture, growing food for and with our community, providing education and training opportunities in agriculture, enhancing urban wildlife habitat, and growing and celebrating the farming community. Board Members will consider RGCF a philanthropic priority and make annual gifts that reflect that priority. So that RGCF can credibly solicit contributions from foundations, organizations, and individuals, RGCF expects to have 100 percent of Board Members make an annual contribution that is commensurate with their capacity. Board Members will serve a three-year term to be eligible for re-appointment for one additional term. Board meetings will be held monthly and committee meetings will be held as determined. This is an extraordinary opportunity for an individual who is passionate about RGCF’s mission. Selected Board Members will have achieved leadership stature in business, government, philanthropy, or the non-profit sector. His/her accomplishments will allow him/her to attract other well-qualified, high-performing Board Members. Ideal candidates will have savvy diplomatic skills and a natural affinity for cultivating relationships and persuading, convening, facilitating, and building consensus among diverse individuals. Service on RGCF’s Board of Directors is without remuneration. 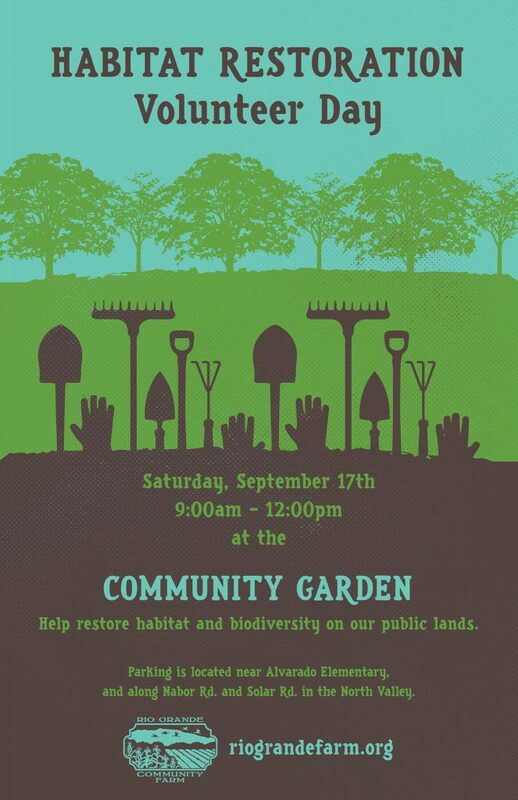 If you have gloves and a shovel or rake please bring them! Also make sure you bring water. Where? 1260 Solar Rd NW Los Ranchos de Albuquerque, NM 87107 From the intersection of 4th and Solar (or Sadie’s Restaurant), head west on Solar for one mile. Immediately after you pass Alvarado Elementary turn south onto the drainage ditch and park along the fence. Walk across the bridge and you will be at the Community Garden. The City of Albuquerque Open Space Division and Rio Grande Community Farm (RGCF) are proud to announce the 18th Annual Maize Maze—Celebrating Pollinators! The eight-acre corn maze is located on the Los Poblanos Fields agricultural Open Space north of Montaño. This year’s maze design features many different pollinators: critical but threatened creatures that play a vital role in our food systems. In partnership with the ABQ BioPark, the Maze will feature activities, public art installments, and a scavenger hunt that will educate and inspire visitors about pollinators. 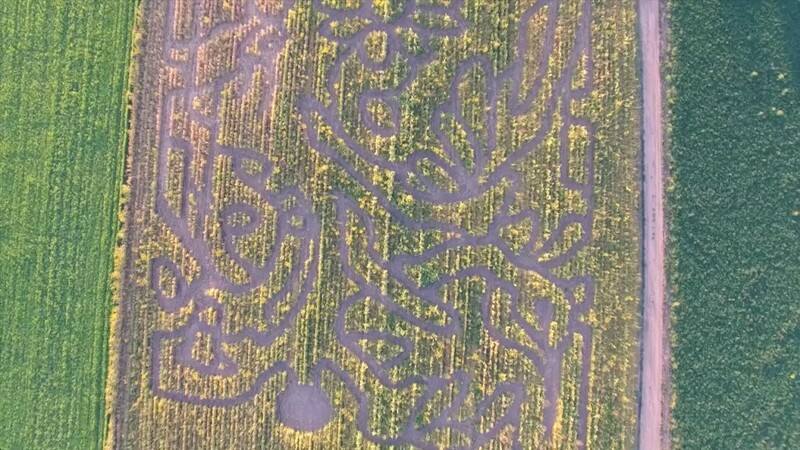 “The City of Albuquerque is excited to once again host this unique event that serves to educate the public about local agriculture while offering an enjoyable and exciting maze experience,” said Mayor Richard Berry. Aside from serving as an annual fund raiser for RGCF, a 501(c)3 Non-profit, the Maize Maze also fulfills a core part of the Farm’s mission: to provide habitat for wildlife. 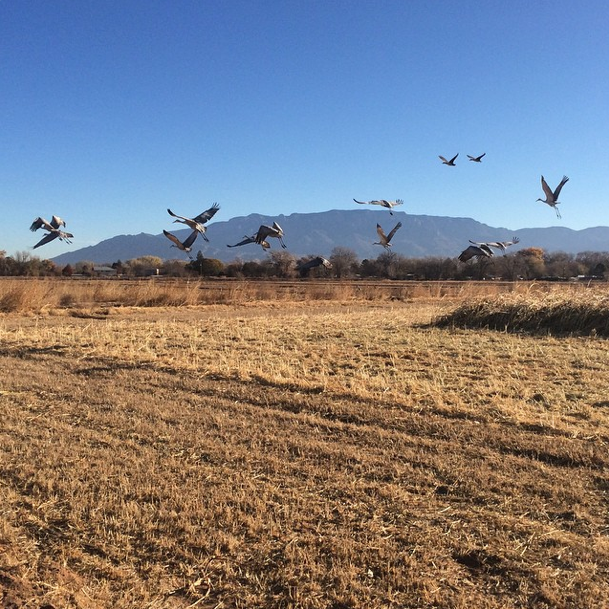 Each year, the Maze serves as both food and habitat for hundreds of migrating geese and cranes. By popular demand, Blackout Theatre is bringing even more thrill to the fields with the third installment of Quarantine—an interactive performance that brings the audience into the story. Throughout October the undead will haunt the farm starting at dusk. Visit www.quarantineabq.com for more information. 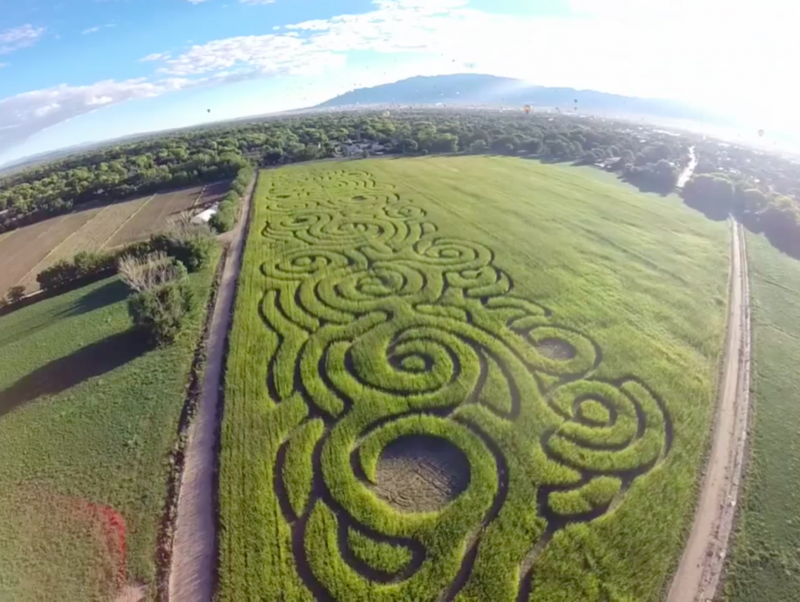 WHEN: The 2015 Maize Maze will be open Saturdays and Sundays only, from 10 a.m. to 5 p.m. during the month of October. HOW MUCH: Admission for the maze are $7/adults and $5/kids (3-12 years old). Kids 2 and under are free. Quarantine is $20/person (Ages 13 or older). WHERE: Los Poblanos Fields is located in the heart of Albuquerque at 1701 Montano Road NW. Parking for the maze is 1.1 miles west of Fourth St NW. Turn north on Tierra Viva and park in the gravel lot to your left.